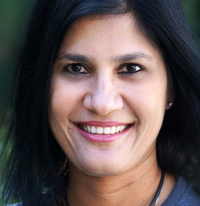 Our interview with a startup entrepreneur this morning is with Avantika Shahi, the founder and CEO of Haus (www.grademyhaus.com), a new Los Angeles startup hoping to create a new way for people to search for homes. The early stage, self funded startup recently launched its beta in Los Angeles. Avantika Shahi: We are a home search platform. We describe ourselves as a better way to search for homes, because we match and grade them based on your lifestyle, along with regular home attributes. If you go to sites like Zillow, Trulia, and Redfin, there has been a lack of innovation in the past few years. I've been a buyer, an agent, and broker, and have gone through lots of different platforms, mediums, and sites, and it's hard to get a comprehensive picture of a home or neighborhood, without going to lots of different sites. That's the reason for Haus—to make it easier for consumers to find a home, not just based on the usual home criteria, but also the neighborhood and location. What are those other lifestyle considerations? Avantika Shahi: The way the site works, is we walk buyers through a series of screening questions. These are traditional home criteria, but there are also certain lifestyle questions—like if you have a young child, are looking for a school district, or maybe you don't want to have to commute far for work, and want a certain commute time from the house. Or, perhaps, you're a bachelor or a younger person, and you are looking for a hip and trendy neighborhood with accesses to restaurants and retail. We let you select all kinds of criteria, and we also loop in things like the commute and architectural style of the house. We run an algorithm across those properties, and grade them from A to F, based on their compatibility with you. So how did you go from being an agent to this startup? Avantika Shahi: I've been in real estate for about 10 years, but prior to that I used to run professional services for a global software company, which was later acquired by Adobe. That was back in the 90's, during the dot com bubble, after which I made a career shift. At the time, real estate was a logical fit, given my background in architecture. Fifteen years now down the line, I'm now connecting the dots between design, technology, and real estate software. Avantika Shahi: We just launched a beta, literally last week, in Los Angeles. We're pretty early in the product right now, and I'm in the process of figuring out if I want investors. We're hoping to expand in San Diego and San Francisco next. There are two aspects of this business. The home search portal is the buyer side, and the goal is to also take the matchmaking engine, which we have filed a patent for, and use that across the board for other applications in real estate. We'll look at a seller direct site next, to let sellers who want to post and sell their homes directly, where we will use that same matchmaking algorithm to match them with buyers. There are a lot of established, big companies—who you mentioned—in this market. What's your strategy for competing against them? Avantika Shahi: We're trying to distinguish ourselves. It's hard to go up against giants like Zillow, Redfin, and Trulia. Our strategy is to crate a product that is a little different. Our approach comes from the standpoint of saving a home buyer time, and showing them products that are better suited for them, and are an overall better match for them. We also are going to defray some of our risk, by having multiple business lines versus one. We'll see how consumers respond to our technology, and take it from there. How are you funding the company? Avantika Shahi: Currently it's all self funded. My wife is my angel, and we have been working on this platform for over a year now, funding it ourselves, and now that the site is up and running, we're looking for outside money as well. Avantika Shahi: We actually had launched the company back in September of last year, as a virtual brokerage. However, what happened, is my business partner at the time turned out not to be a good fit, our vendor was not quite the right fit, and we had to make the decision—either find another vendor and start from scratch, or pivot. We chose to pivot. The biggest lesson we figured out, is not to be too attached to what you are doing, and let your instinct guide you to where things are stacking up.